As expected, Zynga is trimming its workforce as it tries to become profitable again. The layoffs took place today during Apple’s keynote, and affected hundreds of employees, according to several reports. Three different spokespeople at the company did not return phone calls or emails seeking confirmation. The cutbacks are not a surprise. Mark Pincus hinted earlier this month that he was going to evaluate the business after releasing preliminary third-quarter earnings that were a disappointment. The timing was largely expected to occur prior to tomorrow’s official third-quarter report. A source close to the company’s Austin office confirmed that almost everyone working on The Ville was laid off, and that development of the game will move to India, where the company sends games to be maintained. The Ville has been underperforming since it launched, and was specifically named by Pincus as an example of its original genre of games that are no longer performing as well as they once did. The company has also been disappointed by the launch of FarmVille 2, although it is still expecting to launch a sequel to CityVille soon. Also affected in the Austin office was the team working on Bingo for Facebook, but we hear the team working on Slots remains. This afternoon, a report on Twitter first indicated that the layoffs had begun, saying that 100-plus employees were affected in Austin. 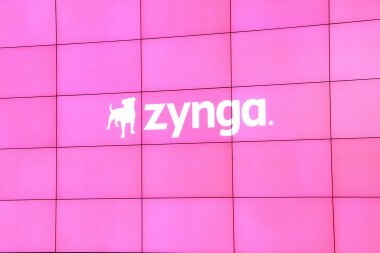 Afterwards, Gamasutra reported that Zynga’s offices in Chicago and Boston were also affected. As I find out more, I’ll update the post here. The social games maker, which still remains the largest on Facebook by far, has roughly 3,000 employees, a majority of whom work at its San Francisco headquarters. More recently, the company has been suffering from a talent drain as executives as well as lower-level employees have elected to quit. This move won’t help with morale, but at least Zynga will get to play a role in deciding who leaves. The company’s stock fell 12 cents, or 5.2 percent, to close at $2.20 a share, which is a new low. We’ll be watching Facebook’s earnings today for any other signs on how the general social games business is doing.